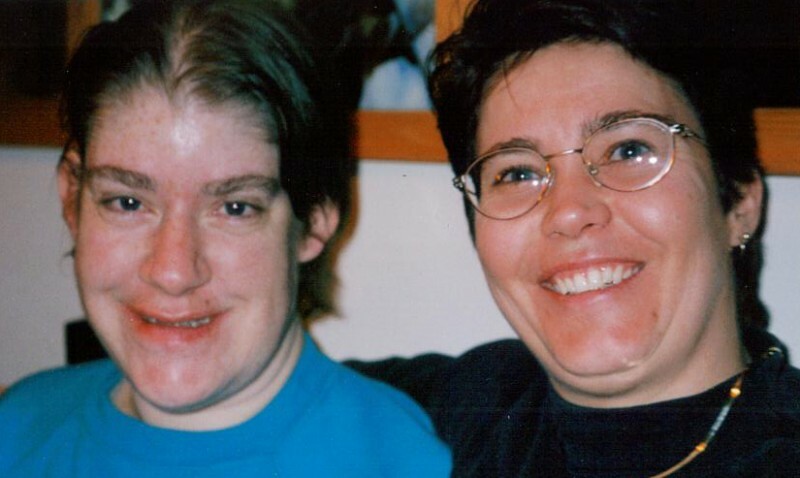 October 31, 2013 (Montreal) The Edmonton Court of Queen’s Bench today pronounced sentencing in the case of Betty Anne Gagnon, a woman with an intellectual and a visual impairment who died while under the care of her sister and brother-in-law. Denise Scriven and Michael Scriven were each sentenced to twenty months in prison for failure to provide the necessities of life. The maximum sentence is five years. Following Ms. Gagnon’s death on November 20, 2009, the accused faced multiple charges, including manslaughter, failure to provide the necessities of life, criminal negligence causing death, unlawful confinement, two counts of assault and conspiracy to commit extortion. However, all charges were dropped except for the charge of failure to provide the necessities of life. In a Statement of Facts submitted by the defendants, they admitted that they beat, caged and starved Ms. Gagnon. Ms. Gagnon was severely underweight at the time of her death, weighing only 65 pounds. An autopsy determined that she died due to a blunt head injury. In a response, The DisAbled Women’s Network Canada / Reseau d’action des femmes handicapées (DAWN-RAFH Canada), the Council of Canadians with Disabilities (CCD) and Canadian Association for Community Living (CACL) are urging that Betty Anne Gagnon’s tragic and completely preventable death not be in vain and are calling for an inquiry into the horrific circumstances surrounding her final months and death, the systemic failures that led to this outcome, and for much stronger accountabilities going forward. The national disability community also remains profoundly concerned that such blatant and intentional harm resulting in death is not, at a minimum, recognized as manslaughter in the criminal justice system. “We do wonder whether reduced charges in the face of such clear facts reflect an all-too-common devaluation of the lives of people with intellectual disabilities,” said CACL President Laurie Larson. Ms. Gagnon lived with and was cared for by three friends for 18 years prior to living with her sister and brother-in-law. She was described as first and foremost a woman who loved life and appreciated every moment despite the many obstacles and challenges she had to overcome. DAWN-RAFH Canada, CCD and CACL urge provincial/territorial and the federal governments act within their jurisdictions, and collectively, to confront the continued violent victimization of people with disabilities in Canada and develop a national strategy of prevention and response. Such a strategy could build on the DAWN-RAFH Canada and CACL’s “InFocus” pan-Canadian initiative currently underway in all provinces and territories to develop effective community-based responses to violence against people with disabilities and Deaf people. Studies have shown that women with disabilities experience violence at twice the rate of non-disabled women. Established in 1986, DAWN-RAFH Canada is the only national, feminist, cross-disability organization. For more than 50 years, CACL and its national federation has been assisting people with intellectual disabilities and their families to attain full participation and inclusion in Canadian society.